Last Saturday I had the opportunity to make some cupcakes and donate them to a local cake auction supporting Teen Challenge, a home for troubled young men and women. I was a little short on time so I decided to make cupcakes as opposed to a layer cake. I had been inspired by a pin I saw on Pinterest and knew exactly how I wanted to decorate them (my decorating inspiration was actually used on a layer cake, but it worked on my cupcakes quite nicely as well!!!) They look gorgeous and were really not that hard – you don’t even need any special decorating bags or tips! 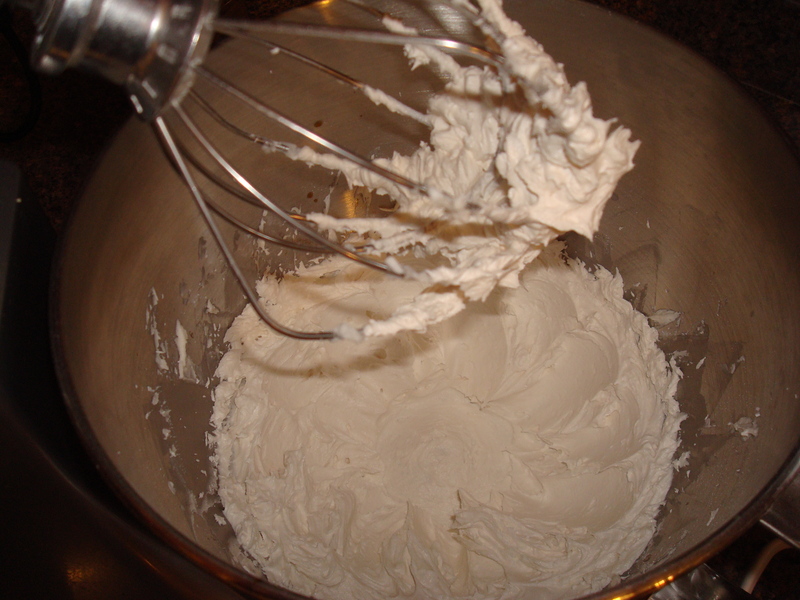 You could use a store-bought frosting if you wish to speed things up, but I chose to make a half batch of my mom’s Almond Butter Cream Icing to frost the cupcakes with. I knew the almond flavor in the icing would be a perfect complement to those almond slices on top! Make cupcakes according to your recipe or box mix directions. 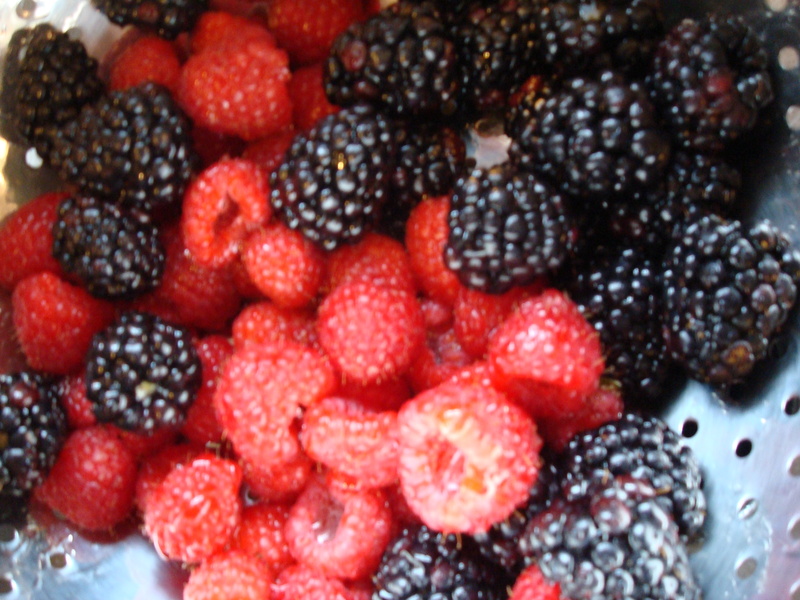 Wash berries and lay and paper towels to dry. Put shortening and almond and vanilla extracts in mixing bowl. Cream together. Add powdered sugar by spoonfuls to mixture. Frost cooled cupcakes (this recipe doesn’t allow for an excessive amount of frosting on each cupcake. If you like more frosting you may want to double the recipe). 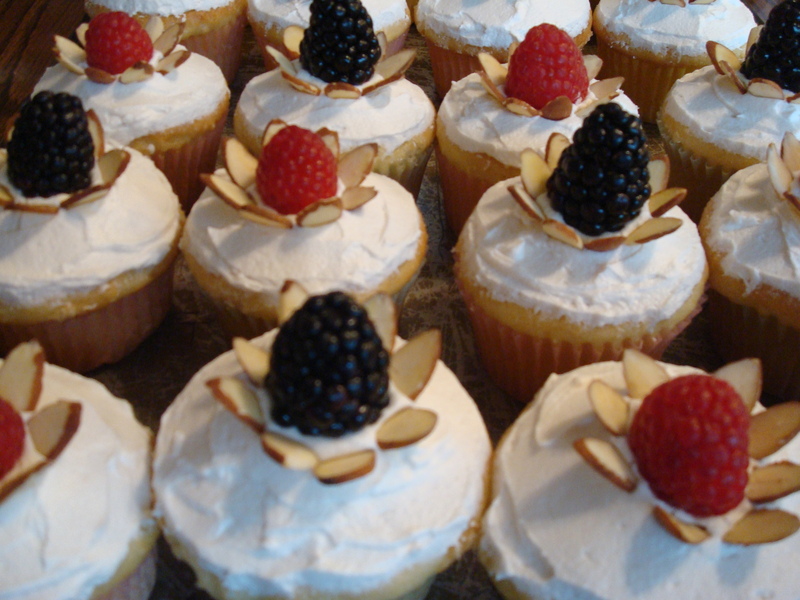 Place a berry in the center of each cupcake. 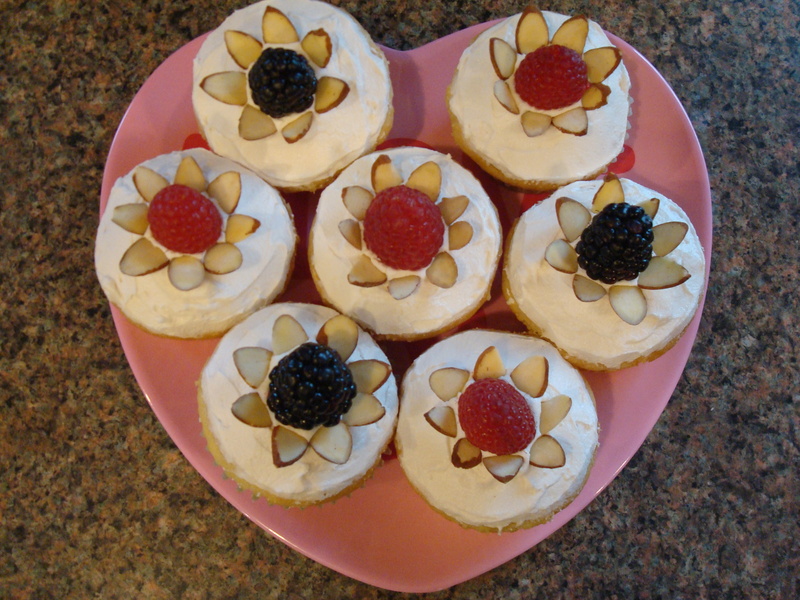 Place almond slices around each berry to create a “flower” (as pictured). You can also use blueberries instead of blackberries like my inspiration pin used. I just chose blackberries because hubby likes them better. 🙂 Super easy and beautiful!